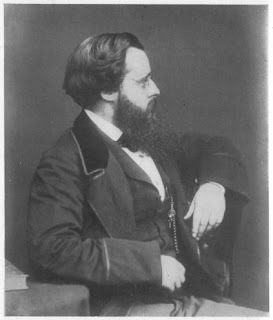 John Lothrop Motley to his Wife. I hardly know whether I have written to you within the last few days or not. My days and nights succeed each other and certify each other so monotonously that they seem to be all stuck together in one piece. It is like one long sentence without punctuation, like the interminable Spanish despatches which I am reading every day, and which run sometimes for fifty pages without a period or even a comma. I am at the Archives every day before ten, and generally till five, as Gachard, when he stops, invites me into his cabinet after the regular hour of closing, which is three. Then, la nuit tombante, I take a grim crepuscular walk round the shabby little boulevards, after which I go to the reading-room for an hour. At half-past seven I dine alone in the large salle a manger, lighted by one candle, with two waiters looking at me, so that I always feel like Warren in the farce which we saw at the Museum. After this I work till twelve or one o'clock, burning a good deal of midnight spermaceti, which, at the rate charged for it, comes, according to my calculation, to about one whale a month. Thus you see that I have always a pickaxe in hand, and am working my way pretty steadily into the bowels of the land. At the same time I do not see that I have anything amusing to communicate to you. I have a fine opportunity for cultivating my talent for silence, but that does not enable me to be very agreeable in conversation, even by letter. I am attacked by very frequent fits of the a quoi bon disease, and am constantly asking myself why I should condemn myself in this absurd way to travaux forces a perpetuite. Here I go trainant ma boule, and it does not do me any good, or anybody else. I am getting disgusted with the word "history," and yet I go boring on merely because it seems to be my destiny faute de mieux. I went again to see Madame Metivie yesterday, and found her at home, together with the other one. Miss le Strange was there, too, with her father, and was delighted to hear of Lily and Mary, whom she recollects very well, and begged to be kindly remembered. She is quite a pretty, pleasing girl. March 15th. I have pretty nearly finished in Brussels for the present. I have gone through nearly the whole of the Simancas correspondence, twelve hundred letters, many of them sixty pages in length, and after all they are rather a seccatura. I suppose I shall go to Paris by the end of the week. -from The Correspondence of John Lothrop Motley edited by George Williams Curtis 2nd edition (London: John Murray, 1889) vol. 1, pp. 215-16. John Lothrop Motley to Dr. O. W. Holmes. This is not a letter, not even an apology for one. I only wish to say to you that I intend to write very soon, and that I hope to hear from you as often as you can overcome your avaricious tendencies. I am myself excessively miserly at this moment, for I am almost distraught at the circumlocution and circumvolutions of London. To try to do anything in a hurry here is to "hew down oaks with rushes." Sisyphus with his rock was an idle, loafing individual compared to the martyr who is doomed to work up the precipice of English routine. I have been in London a month, and my rock has just come down upon my toes for the fourth or fifth time. I have not yet got into the State Paper Office, where I expected to have effected my entrance after the first day or two succeeding my arrival. I thought to have done a great deal of work there this time. But the American Minister, and the Minister of Foreign Affairs, and the Minister of the Interior, and the Master of the Rolls (who by the way is not a baker, as Lowell would probably suggest), and various other dignitaries have all to be made aware (in a Pickwickian sense) that an insignificant individual like myself is desirous of reading some musty and forgotten old letters which not one of them could read or would wish to if they could. A friend of mine once went into a soda-water shop in Boston on a very hot day, and was told by an elderly individual behind the counter that his son John, proprietor of the establishment, had gone to Portland, but that upon his return he would undoubtedly be very happy to prepare him a glass. This is exactly my case. The Earl of Clarendon is absent with the Queen at Balmoral. Panizzi of the British Museum is in Turin. Dallas is at the Isle of Wight, and others are hiding themselves in other corners or pretending to be absent, even if actually here, because in September it is disreputable to be in London. No moral or religious person therefore would acknowledge himself to be here. When these illustrious personages all get back, they will unite to prepare my glass of soda-water. By that time I shall be in Paris. I have also had time during the last two or three weeks to go over a mass of MS. in the British Museum. Mais il faut casser des oeufs pour faire une omelette. Routledge tells me that your poems (particularly the Punch-Bowl), are familiar to everybody in England. I have been a recluse till now. We are at present staying at this magnificent place, Mount Felix, near Walton-on-Thames, enjoying the princely hospitality of our friends, Russell Sturgis and his wife. I wish you were here too. Remember me kindly to Lowell and Agassiz and Felton, Longfellow, Tom Appleton, and all the members of our Club, which I hope you have regularly joined by this time. My wife joins me in warmest remembrances to you and your wife and children. I am provoked that I have been writing all about myself. I shall write to you ere long again, and will not use this horrible paper. Nec tenui penna is a good motto, but Nec tenui charta shall henceforth be mine. Do write me occasionally, if only a single sheet of notepaper, and pardon the detestable stupidity of this. Ever most sincerely your friend, J. L. M.
An English admirer of yours, Mr. Synge, attache in Her Majesty's Foreign Office, who is staying in this house and who has heard much in your praise from Thackeray, asks to send you his respects. -from The Correspondence of John Lothrop Motley edited by George Williams Curtis 2nd edition (London: John Murray, 1889) vol. 1, pp. 204-205. John Lothrop Motley to Dr. Oliver W. Holmes. ost certainly both Mary and myself felt deeply your kindness in writing to us, for although your letter was addressed to me personally, she assumes a joint and several character with regard to it in all respects except in the responsibility of responding, and if I could have merely taken up my pen (style of the earlier part of this century in which you and I began to flourish) and acknowledged the kindness, and so rendered you my debtor instantly for another letter, you may be very sure that you would at this moment be writing to me your sixth or seventh. Honestly and most warmly I asseverate that my delay in answering was only because I felt unable to write anything that would be worth your reading. I was too conscientious to think that one sheet of paper with a post-mark was equal to another sheet of paper with a post-mark, and I hoped not to be forced, as I am at last, to tender a pound of lead in payment for a pound of gold. Do, however, be merciful, take your pen and write four score as if I had really discharged the debt. If you knew how often we have read your letter, and how much pleasure it has given us, and how often Mary has been goading me into answering in the mere sordid expectation of getting a second, till at last even the incrustations of time and self-conscious stupidity have penetrated, you would I am sure be willing once more to write to us. You may be sure even if I have myself no more wit than a Christian or an ordinary man," that I am quite able to appreciate and to treasure yours. I do not really know what to say to you. I am in a town which for aught I know may be very gay. I do not know a living soul in it. We have not a single acquaintance in the place, and we glory in the fact. There is something rather sublime in thus floating on a single spar in the wide sea of a populous, busy, fuming, fussy, little world like this. At any rate it is consonant to both our tastes. You may suppose, however, that I find it rather difficult to amuse my friends out of the incidents of so isolated an existence. Our life is as stagnant as a Dutch canal; not that I complain of it, on the contrary the canal may be richly freighted with merchandise, and be a short cut to the ocean of abundant and perpetual knowledge, but at the same time few points rise above the level of so regular a life, to be worthy of your notice. You must therefore allow me to meander along through the meadows of common-place. Do not expect anything in the impetuous, and boiling style. I do not know whether you ever were in Brussels. It is a striking, picturesque town, built up a steep promontory, the old part at the bottom, very dingy and mouldy, the new part at the top, very showy and elegant. Nothing can be more exquisite in its way than the Grande Place in the very heart of the city, surrounded with those toppling, zig-zag, ten-storied buildings, bedizened all over with ornaments and emblems so peculiar to the Netherlands, with the brocaded Hotel de Ville on one side, with its impossible spire, rising some three hundred and seventy feet into the air, and embroidered on the top with the delicacy of needlework, sugarwork, spiderwork, or what you will. I haunt this place because it is my scene, my theatre. Here were enacted so many deep tragedies, so many stately dramas, and even so many farces, which have been so familiar to me so long, that I have got to imagine myself invested with a kind of property in the place, and look at it as if it were merely the theatre with the coulisses, machinery, drapery, etc.. for representing scenes which have long since vanished, and which no more enter the minds of men and women who are actually moving across its pavements than if they had occurred in the moon. When I say that I know no soul in Brussels I am perhaps wrong. With the present generation I am not familiar. En revanche the dead men of the place are my intimate friends. I am at home in any cemetery. With the fellows of the sixteenth century I am on the most familiar terms. Any ghost that ever flits by night across the moonlight square is at once hailed by me as a man and a brother. I call him by his Christian name at once. When you come out of this place, however, which, as I said is exactly in the heart of the town, the antique town in the modern setting, you may go either up or down; if you go down you will find yourself in the very nastiest and most dismal complications of lanes and culs de sacs possible, a dark entanglement of gin shops, beer houses, and hovels, through which charming valley dribbles the river Senne (whence I suppose is derived senna) the most nauseous little river in the world, which receives all the outpourings of all the drains and houses, and is then converted into beer for the inhabitants all the way, breweries being directly upon its edge. If you go up the hill instead of down you come to an arrangement of squares, palaces, and gardens, as trim and fashionable as you will find in Europe. Thus you see that our Cybele sits with her head crowned with very stately towers, and her feet in a tub of very dirty water. My habits here for the present are very regular. I came here, having, as I thought, finished my work, or rather the first part (something like three or four volumes octavo), but I find so much original matter here, and so many emendations to make, that I am ready to despair. However, there is nothing for it but to penelopise, pull to pieces and stitch away again. Whatever may be the result of my labours, nobody can say that I have not worked hard like a brute beast; but I do not care for the result. The labour is in itself its own reward and all I want. I go day after day to the Archives here (as I went all summer at the Hague), studying the old letters and documents of the sixteenth century. Here I remain among my fellow worms, feeding on those musty mulberry leaves of which we are afterwards to spin our silk. How can you expect anything interesting from such a cocoon? It is, however, not without its amusement in a mouldy sort of way, this reading of dead letters. It is something to read the real bona fide signs manual of such fellows as William of Orange, Count Egmont, Alexander Farnese, Philip the Second, Cardinal Granvelle, and the rest of them. It gives a "realising sense," as the Americans have it. However, you see how insensibly I fall into talking about myself, and yet no topic is more distasteful to me. I hate myself, and am bored by myself, and I rarely commit the sin of egotism. Yet I feel as if it were in writing to so old and kind a friend as you, whose good opinion I so highly value, and to whom I feel grateful for thinking that I am really industrious and capable of being useful. I feel, I say, bound to say something of my occupations, and feel that it would be affectation to be altogether silent on the subject. At the same time I am, in German slang, rather objective than subjective, and would rather entertain my friends with anything than with myself. There are not many public resources of amusement in this place if we wanted them, which we do not. I miss the Dresden Gallery very much, and it makes me sad to think that I shall never look at the face of the 'Sistine Madonna' again, that picture beyond all pictures in the world, in which the artist certainly did get to heaven and painted a face which man never saw on earth, so pathetic, so gentle, so passionless, so prophetic, "half of earth, and half of heaven" you see I cannot break myself of quoting you to your face. There are a few good Rubens here, but the great wealth of that master is in Antwerp. The great picture of the 'Descent from the Cross' is free again, after having been two years in the repairing room. It has come out again in very good condition. What a picture! It seems to me as if I had really stood at the Cross, and seen Mary weeping on John's shoulder, and Magdalen receiving the dead body of the Saviour in her arms. Never was the grand tragedy represented in so profound and dramatic a manner. For it is not only his col our, in which this man so easily surpasses the world, but in his life-like flesh and blood action, the tragic power of his composition. And is it not appalling to think of the large constitution of this man, when you reflect on the acres of canvas which he has covered? How inspiriting to see with what muscular masculine vigour this splendid Fleming rushed in and plucked up drowning Art by the locks, when it was sinking in the washy sea of such creatures as Luca Giordanos and Pietro Cortonas and the like. Well might Guido exclaim, "The fellow mixes blood with his colours!" He is certainly the Shakespeare of painting. I did not say that originally: I wish I had. It is worthy to have been said by you. How providentially did the man come in and invoke living, breathing, moving men and women out of his canvas! sometimes he is ranting and exaggerated as are all men of great genius, who wrestle with Nature so boldly. No doubt his heroines are more expansively endowed than would be thought genteel in our country, where cryptogams are so much in fashion; nevertheless with all his exaggerations there is always something very tremendous about him, and very often much that is sublime, pathetic, and moving. I defy any one of the average amount of imagination and sentiment to stand long before the 'Descent from the Cross' without being moved more nearly to tears than he would care to acknowledge. As for colour, his effects are as sure as those of the sun rising in a tropical landscape. There is some- thing quite genial in the cheerful sense of his own omnipotence which always inspired him. There are a few fine pictures of his here, and I go in some-times of a raw foggy morning merely to warm myself in the blaze of their beauty. I have just read over your letter again, rather well thumbed by this time, in order to see whether there was anything especially requiring an answer. I find no interrogations, but you speak of Thackeray and his lectures. Of course I know nothing of them, but I heard here that he was very much delighted with you--not the citizens of the U.S.A., but with O.W.H. Mary sends you an infinite deal of the kindest remembrances. I wish you could come in and enliven our silent fireside (silent after the children have been got to bed) for one evening. My children are all very well and none the worse for their European experience. -from The Correspondence of John Lothrop Motley edited by George Williams Curtis 2nd edition (London: John Murray, 1889) vol. 1, pp. 161-65. St. Petersburg, January 10th, 1842. The English courier goes to-morrow, and you will not be surprised nor disappointed, I hope, to hear that I have already written to Fletcher Webster, announcing my resignation. I have had a talk with Colonel Todd, and he has consented that I should leave whenever it suits my convenience. As there is not an earthly thing to do at the Legation, I have no hesitation in resigning a sinecure whenever I please, and, as the Minister has made no objection, I shall leave this some time in March. I shall leave this in March for Berlin, go to Hamburg, and from there to the Netherlands, where I wish to pass a few weeks, and then, if you decide to remain at home, I shall cross to England, and take passage about the end of May for Boston. Todd has been perfectly kind and considerate towards me ever since we have been here, and I have stated this in my letter to Webster explicitly, mentioning that we have never had a word of difference on any subject, and that therefore my reasons for leaving were unconnected with any disagreement with him. 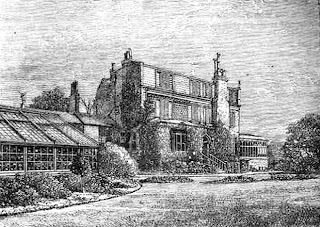 I dined a week ago at the British Ambassador's, and two days ago at Sir James Wylie's, where there was a large and pleasant company. The Prussian Minister, the English, and several notables were present. Count Nesselrode was to have been there, but received orders to dine with the Emperor on the same day. I don't know whether I have ever described to you the great bureaucrat of the great autocrat. He is a small man, with a hooked nose and spectacles, of affable and supple manners, and apparently gifted with ubiquity, for I have seldom been where he was not. I have been honoured by several short interviews with him, and I regret that I did not take down his conversation in shorthand, that I might transmit it to you. The topics have usually been the state of the weather, the heat of the rooms, and a comparative view of the state of the thermometer this year and this time last year. Upon all these subjects of general and exciting interest he seemed full of general information, and delivered his opinions with decision, and at the same time with a frankness hardly to have been expected of a man so deeply versed in the wiles of diplomacy. Sir William Wylie is a remarkable man. He has been in the Russian service fifty-two years, and is now "Inspecteur-General du Service des Armees," with the rank of Major-General, having emigrated originally from Scotland as an apothecary's apprentice, I believe. He is a hearty old gentleman, upwards of seventy, and goes out bear-shooting in winter with the ardour of a youth. There has been nothing at Court since last I wrote. The day after to-morrow is the Russian New Year's Day, and we are bidden to what is called a cercle at the Palace, which is a showy, formal, and most insipid ceremony. There is to be a ball the same night at Count "Woronzow's; but I believe there are to be no more at the Palace this winter, of which I am very glad. I have been driving round occasionally in my sledge to look at some of the churches, in the hopes of seeing something worth describing to you. Some of these, with their graceful cupolas and clusters of turbaned minarets of green and gold, have a pretty, fantastic effect on the outside, but internally they are mostly bare and barren. I have been young lady enough to keep a journal (for your amusement when I return); but on looking over it I find it to be so meagre and so impregnated with my own dulness that I fear to communicate a portion of it to you if I transcribe from it, and, after all, there is nothing worth transcribing. There are no fine buildings here, although there are many large and showy ones, and the architectural effects of some of the streets and squares are very imposing from their vastness and regularity. The best thing in St. Petersburg is the statue of Peter the Great. This, in my opinion, is the finest equestrian statue in Europe. There is something uncommonly spirited and striking in the action of the horse and the pose of its rider. He waves his hands as if, Scandinavian wizard as he was, he had just caused this vast collection of palaces and temples, this mighty swarming city, to rise like an exhalation from the frozen swamps of the Neva with one wave of his hand. 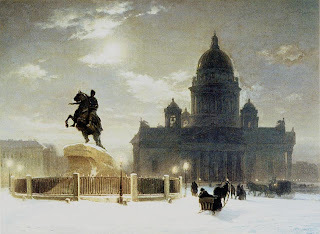 Peter the Great was a great man unquestionably. He was addicted to drinking, murdering his son, beating his Prime Minister, and a few other foibles, to be sure, but still he was a wonderful man. He alone raised Russia out of the quagmire of barbarism, just as he raised St. Petersburg out of the morass; but it seems to me that just as this city may at any moment, by six hours too long continuance of a south-west wind, be inundated and swamped for ever, so may Russia at any moment, through a succession of half-a-dozen bad Czars, be submerged in its original barbarism. The present Emperor is unquestionably a man of great energy; but how can one man uphold this mass, even in the state of crepuscular civilisation to which they have reached? What is really admirable in the construction of St. Petersburg are the quays and walls along the Neva and the canals. These are all of granite, of great extent and most massive and admirable architecture, and, with the many bridges of the same material, are really Cyclopean works, and worth all the gilt gingerbread of all these stucco streets and palaces. These latter, compared to the marble halls of Venice, Florence, and Rome, are most tawdry and insignificant, although of great size, and ornamented, like Job Johnson's coat, with the most lordly indifference as to taste and expense. Your own J. L. M.
-from The Correspondence of John Lothrop Motley edited by George Williams Curtis 2nd edition (London: John Murray, 1889) vol. 1, pp. 94-96. St. Petersburg, November 18th, 1841. I wrote to you last from Hamburg; the next day I went in an abominable diligence to Berlin. Stayed there two days. Saw Mrs. Kirkland and George Cabot constantly, they were both perfectly well and perfectly tired of Berlin, but uncertain whether they should leave this winter or remain. Staying in the same house was young Welch, who has joined the university, I believe. I went with Cabot to the Fay's one evening (the Secretary of Legation); he and his wife are very agreeable people. Mr. Wheaton I called upon, and he upon me, but I did not see him, both being out. The next night left with my travelling companion, Mr. Elliot, for Konigsberg, a long pull of fifty-eight hours in a diligence. We had the cabriolet or front part, where one is very comfortable. The roads are excellent in Prussia, but the country most uninteresting, our whole route in fact, from Berlin to Petersburg, traversing a portion of that immense plain which reaches from the Netherlands to the Ural Mountains. It is a good country to travel at night in, because there is nothing to see and the roads having all the smoothness and directness of a railroad without its rapidity, you are able to sleep in the well-cushioned diligences very comfortably. Prussia has no history--the reigning family is an ancient one; but the State is new, and an artificial patchwork, without natural coherence, mosaiced out of bought, stolen and plundered provinces, and only kept together by compression. A Prince of Hohenzollern-something-or-other-ingen bought the Mark of Brandenburg with the dignity of Elector of the Empire, and his successors, after having in the course of two or three centuries subjugated the barbarous Prussia Proper (already well hammered by the Teutonic Knights and the Polish kings), helped themselves to a slice of Poland, and stolen Silesia, had the pleasure at the beginning of the present century of seeing their ingeniously contrived kingdom completely sponged out of existence by Napoleon, and then repaired and put together again by the Cabinet-making of Vienna. Since then, Prussia is a camp, and its whole population drilled to the bayonet. It is the fashion to praise its good administration; but I have no sympathy with your good administrations. Prussia is a mild despotism to be sure. 'Tis the homoeopathic tyranny--small doses, constantly administered, and strict diet and regimen. But what annoys you most is this constant dosing, this succession of infinitesimal Government pills which the patient subject bolts every instant. Everything, in fact, is regulated by the Government; the royal colours are black and white, and Government is written in black and white all over the kingdom. The turnpike-gates are black and white; the railings of the bridges are black and white, and so are the signs of the taverns, post-houses, etc., etc. In every inn a royal ordonnance stuck up against the wall informs you how much you have to pay for everything--for your dinner, your bed, your schnaps, or your glass of sugar-and-water. This is well enough for the traveller; but a sort of arrangement neither complimentary nor gratifying to the inhabitants. But what nonsense it is for me to be wasting all this time in such a tirade. I believe it is because I was annoyed at having to go back (after having walked down to the Berlin Post-office to take my place in the diligence) for the sake of having my passport put in order; for unless the American Minister, the Prussian Minister for Foreign Affairs, the police inspector, the Russian Minister, and the Lord knows who beside, all signify in writing their perfect approval of your taking a seat in the Schnell Post, the said seat in the Schnell Post is refused to you by the prigs of the Post-office. like the respectable Don Juan, who went to Petersburg by the same route that we did. We, however, killed one lion there, and the only one worth killing--the old cathedral, a building five hundred years old, as the sexton said: built by the Grand Master of the Teutonic Knights, and containing several tombs, monuments, and rude portraits of the old Grand Masters by whom Konigsberg and "Prussia Proper" (I like that expression, because all Prussia is so extremely proper) was governed in old times. One of the monuments, rudely representing a knight in a reclining position and dying, with some singular devices scattered about, attracted my attention, and the old sexton insisted upon giving me a long legend about it, which had a strong resemblance to the story of the maid and the magpie. This story, in three words, was that the knight lost a favourite ring from his finger--circumstances convinced him that his favourite servant had stolen it, and so he incontinently cut off his head; afterwards, a raven's nest was- found with the ring in it, and the dead servant's innocence being thus demonstrated, the knight had nothing for it but to die himself. So, upon Tristram Shandy's principle, "that man bears pain best in a horizontal position," he threw himself at length upon his elbow with his toes to heaven and so died. "So Johnny Pringle he laid down and died." A device of a raven with a ring in his mouth, and a servant with his head cut off, and other quaint devices, decorate the monument.. The church itself is venerable from its age, but very plain. The windows are the narrow lancet-shaped ones, without tracery, which in England are called the Early English; but there is very little of ornament in any part of the building none of that elaborate carving, that needlework in stone, that sculptured Brussels lace, which is the charm and the wonder of the more splendid Gothic cathedrals. The same night we went to Tilsit, twelve hours from Konigsberg (if you take any post map of Europe or even any common map, you may easily trace our route), a place where Napoleon dictated peace upon a raft in the river Memel to the Emperors of Russia and Austria and remarkable for nothing else, where we stopped a day and night--these stoppages by the way were owing to our having neglected to inform ourselves at Berlin about the diligence hours of starting from, the different places. If we had used due diligence in using the diligence we might have shortened the time four or five days. However as that would not have shortened the road, and as our fatigue was the less, it was of no great consequence. From Tilsit, we went to Tauroggen on the Russian frontier, passing through the custom-house so much dreaded by travellers unscathed and untouched, thanks to our diplomatic capacity (which, by the way, has carried us through every custom-house with flying colours). At Tauroggen we stopped a day and night, the inn or post-house most comfortable, giving one an agreeable impression of Russian arrangements. 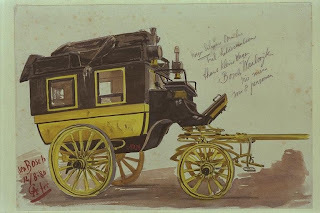 The next morning at ten, we took our seats in the Russian mail for Petersburg; these carriages are without exception the best public conveyances in Europe; they carry four persons only, and the vehicle consists of two coupes or chariots, one placed behind the other, and each containing two persons; they were filled with spring cushions, leather padded pillows, lamps to read by in the night, and in fact as comfortable as a private carriage. The road from Tauroggen to Petersburg is 14 wersts, and half of it is what is called in Europe very bad, and what we should call pretty good in America. We got stuck in the mud regularly every night, but as we were only passengers we did not mind, and slept comfortably until they lifted us out; this lasted only two or three nights. At Eiga, the capital of Livonia, we got our first snow storm, after which the weather became very cold (13 of Reaumur one night (the 12th of November), equal to about zero of Fahrenheit, but "it was fine times for those who were well wrapped up, as the ice bear said when he met the gentleman a skating," and I was uncommonly well wrapped up. I was immersed to the hips in a pair of fur boots (furred on both sides), without which an attempt to make such a journey would have been a bootless undertaking, and had a pelisse lined with fur reaching from my eyelashes to my heels: thus attired I was independent of the weather. It was, however, not very cold long. The weather in fact, since the 12th of November, has been like our average weather in January and February. How it will be later you shall know as soon as I do. I have nothing more to say of the journey. The country is dull and uninteresting beyond all description, and as we had sixteen hours of dark to eight of daylight, " the whole of its tediousness was not inflicted on us." 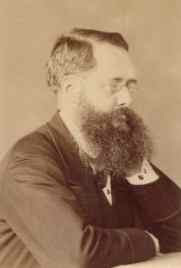 I had provided myself at Berlin with some new novels of Balzac and Paul de Kock, and passed most of the time in reading, slept very well every night, and breakfasted, dined and supped very comfortably at the stations or post-houses along the road, which are in general very well regulated establishments. The villages through which we pass are all of wood, generally log huts thatched; the houses in the towns are mostly of wood, painted of a dark colour and sometimes stuccoed, and the people dirty, long-haired, long-bearded, sheepskin-shirted savages. We reached St. Petersburg, the 17th of November, at half-past two in the morning. This letter I consider both entertaining and instructive, unfortunately it is illegible. It will puzzle the spies at the post office, if they undertake to read it. -from The Correspondence of John Lothrop Motley edited by George Williams Curtis 2nd edition (London: John Murray, 1889) vol. 1, pp. 69-74. 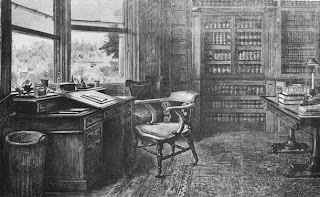 I have again a roosting-place for a few hours, and hasten to employ it by writing to you. I reached this place an hour or two ago in the steamer from London. We sailed last Wednesday morning, and ought to have made the passage by Friday noon, from fifty-five to sixty hours being the average passage, instead of which we were six days about it. We had a head wind and very heavy weather the whole voyage, so that it seems that I have only to form a resolution, however secretly, to go by sea to any given place for the wind instantly to make a point of blowing a gale exactly from that direction. I found here a couple of notes from Colonel Todd, who has been expecting me at Lubeck every day according to our agreement, but this most unconscionable passage has kept me beyond the day of sailing of the Lubeck packet, in which we were to have gone together, and as it is the last boat which goes all the way to Petersburg this season, he was obliged to go without me, and I have to make the journey by land. 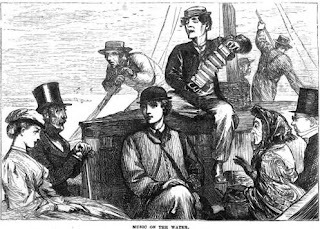 This is nobody's fault but the steamer John Bull's; and on the whole I do not much regret it, as a November voyage up the Baltic is not a very desirable amusement, and, from my experience of steamboating lately, I daresay it would prove quite as tedious and fatiguing as the journey by land. Let me see, I wrote you last, I think, by the Great Western, a day or two after my arrival in London. 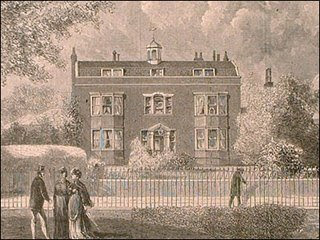 After that I left my letter and card at Lord Lyndhurst's, and also at Mr. Clarke's, his cousin, to whom Copley Greene, or rather Mrs. Greene, was kind enough to send me letters. Mr. Clarke called upon me immediately, and was particularly attentive to me. I dined with him once, and received another invitation from a friend of his during my short stay there. Lord Lyndhurst was in the country when I arrived, and came to town only the day upon which I left. 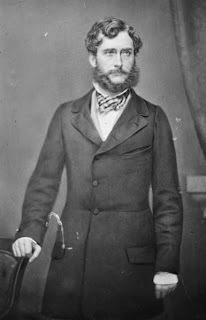 He however wrote me a very polite note, hoping to see me when his family returned from the country the next week, and, upon my informing him that I was leaving that day, he sent me a letter of introduction to Lord Stuart de Rothesay, the British Ambassador at Petersburg, and hoped to see me when I returned to London. 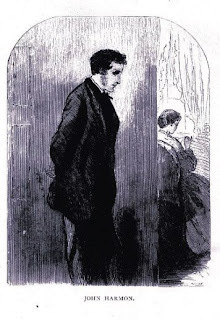 Mr. Clarke is a very agreeable gentlemanlike person, and I feel much obliged to the Greenes for their introduction, for which I wish you would make a point of calling upon Mrs. Greene and expressing thanks. Tell Sumner that I left his letter and my card at Sir Charles Vaughan's door; the servant, however, told me he was leaving town the next day, so that I expected to hear nothing from him. However, he came round to my hotel within an hour, and sat some time in my room with me, expressed great regard for Sumner and great regret that his departure from town and mine for St. Petersburg, etc., etc. In fact, everybody is out of town as a matter of course; the end of October and the beginning of November is the hanging season in London and the commencement (I believe) of the hunting season in the country, so that of course everybody is supposed to be hanging themselves or hunting, and I was very lucky to find as much as I did in London. Sir Charles is a plain, unaffected, agreeable man, and I hope to have the pleasure of seeing him again in London some time or other. I leave this to-morrow (at noon) I believe, for Berlin, and shall stop one day there and then push on for Konigsberg. I expect to meet a fellow-passenger on board the John Bull, a young man (son of Lord Minto) who is attached to the British Legation at Petersburg, and who left in the diligence for Berlin to-night. Being both upon the same expedition, we have agreed to rough it together in the diligence, and I hope we shall reach Petersburg by this day fortnight. Colonel Hamilton of New York stopped at the same hotel with me in London. He came out in the Kamschatka, which arrived two or three days after us, having made a very long passage, delayed originally by the same severe gale which attacked us between Boston and Halifax. Schuyler did not come up to London, but stayed at Southampton with the frigate. I shall find them there undoubtedly, as they were to sail again on Tuesday for Cronstadt, the day before the one I left London for this place. - from The Correspondence of John Lothrop Motley edited by George Williams Curtis 2nd edition (London: John Murray, 1889) vol. 1, pp. 67-69. Boston , Christmas Eve, 1867. My dear Wilkie,--I am obliged to write very hastily, to catch the mail over at New York. The Play is done with great pains and skill, but I fear it is too long. Its fate will have been decided before you get this letter, but I greatly doubt its success. Your points follow in their order. 1. Whatever is most dramatic in such a complicated thing as the Clock Lock I think the best for the stage, without reference to the nicety of the real mechanism. 2. I would keep Vendale and Marguerite on the stage, and I would end with Obenreizer's exit. 3. Madame D'Or's speaking unquestionably better out. She herself unquestionably better out. I have not the least doubt of it. But, my dear boy, what do you mean by the whole thing being left "at my sole discretion." Is not the play coming out the day after to-morrow ? ? ? There are no end of No Thoroughfares being offered to Managers here. The play being still in abeyance with Wallack, I have a strong suspicion that he wants to tide over to the 27th, and get a Telegram from London about the first night of the real version. If it should not be a great success, he would then either do a false one, or do none. Accordingly, I have brought him to book for decision on the 26th. Don't you see? They are doing Cricket, Oliver Twist, and all sorts of versions of me. Under these circumstances they fence when they have to pay. I will try to catch the next mail. -from the Letters of Charles Dickens to Wilkie Collins edited by Laurence Hutton (New York: Harper & Brothers, 1891) p. 158-59. My dear Wilkie, ---I find that if the Play be left unpublished in England, the right of playing it in America can be secured by assigning the MS. to an American Citizen. That I can do at once by using my publishers here for the purpose. I can make an arrangement with [Lester] Wallack, in New York, to have it produced at his Theatre (where there is the best company), on a sharing agreement after a certain nightly allowance for expenses, and I have arranged to see Wallack next week. I have made inquiry about Mr. Lawrence Barrett (whose letter to me I enclose), and I find that he has a good reputation as a Star Actor, and that he is a responsible man pecuniarily. Now, I am advised that the best course will be to make an engagement with him to take the play and act in it, and get it up wheresoever he likes in the United States, except in New York City. (The exception, because Wallack and he are not d'accord, and the other good New York Theatres all have their hands full.) As I read his letter his proposal means that we give the play--that he gives his services--and that the receipts of each night's performance be divided between author and actor equally. Will you write to him at once, see him, and bind us both to such an engagement, if he be willing to bind himself to it? We might possibly get a good round sum by such a course. I have advised with one of the most knowing Managers in New York (who came over here this morning to see me)--the Black Crook Manager--and he says: "If you have Wallack for New York, and Barrett for the States generally, you could not do better." Mr. Barrett may have left England before this reaches you. If so, I have taken measures to catch [him] on this side when he comes over. As I read for the first time to-night, I will finish this to-morrow for Wednesday's steamer, which will be my own Cuba returning. A most tremendous success last night. The whole city is perfectly mad about it to-day, and it is quite impossible that prospects could be more brilliant. Your always affectionate C. D.
-from the Letters of Charles Dickens to Wilkie Collins edited by Laurence Hutton (New York: Harper & Brothers, 1891) p. 155-57. My dear Wilkie,---I have received a letter from one Mr. Barrett, an American actor (dated 308 Regent Street, London, W.), proposing for the dramatic version of No Thoroughfare. He says in that letter that he "learns from Mr. Wilkie Collins that I have taken the play to America, intending to arrange for its production there," and offers to come out here with the New Year and play it. As I have not got the play, I am at a loss to know whether this is an intentional or an unintentional mistake. 1. A detailed Scene Plot from Fechter. 2. His notion of the Dresses. 3. A copy of the Play itself. Act by Act, as you do it. 4. Together with any stage Directions that Fechter has in his mind. I am yearning already for the Spring and Home, but hope to work out the intervening time with a tolerably stout heart. I am wonderfully well in health, and got over the voyage with the greatest success. This note is left open for Dolby to add Postscript to. He will know, before closing it, whether or no it is certainly worth while for you to telegraph (in 20 words, containing not more than 100 letters). It will be best for you always to address me about the Play, and always to address whatever you send in connection with it, Westminster Hotel, Irving Place, New York City. I will not at present reply to Mr. Barrett at all. My dear Mr. Collins,--I have only time--to save the Mail--to add a few lines to Mr. Dickens's letter to request you will send out the acting part of the Play as soon as possible, as I am in hopes I may be able to arrange for its production here, possibly at Wallack's; and if you can get models made and sent out of the Scenery, it will also be a great thing to have. I spoke to [Harry] Palmer about the price last evening on my arrival here, and he seems most enthusiastic on the matter. I have sold to-day the tickets for the first Four Readings in the City, and sold out (8000 tickets in all) in six hours. 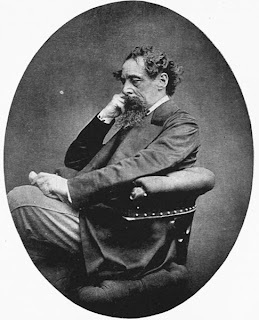 The enthusiasm with regard to Dickens and all that he does is enormous, and I am in hopes we shall be able to spend the whole of our time in the large cities. Give my kindest regards to Wills and all London friends, and believe me. -from the Letters of Charles Dickens to Wilkie Collins edited by Laurence Hutton (New York: Harper & Brothers, 1891) p. 152-54. My dear Wilkie, ---Like you I am working with snail-like slowness. My American possibility* divides my mind so incongruously with this occupation. But I think I have a good idea. I send it you with a view to your at odd times Thinking-out of the last Act. When Vendale is at the last pass of the murderous business on the Simplon, he conscientiously says some broken words to Obenreizer to the effect: "If it be possible that you are the man--as I have lately thought--do so and so. Villain and murderer as you are, my trust to my dead friend remains unchanged." This is so brokenly said that Obenreizer supposes it refers to some obscurity in Vendale's birth--not his own--and so goes on to build up Nemesis. I have already got Vendale haunted by the possibility that Obenreizer is the man. I will write again by or before Friday. I see a great chance for Act III. out of this leaving of Act II. Don't you . The Demon Illegibility has possession of me. -from the Letters of Charles Dickens to Wilkie Collins edited by Laurence Hutton (New York: Harper & Brothers, 1891) p. 149-50. My Dear Wilkie, ---I have done the overture, but I don't write to make that feeble report. I have a general idea which I hope will supply the kind of interest we want. Let us arrange to culminate in a wintry flight and pursuit across the Alps, under lonely circumstances, and against warnings. Let us get into all the horrors and dangers of such an adventure under the most terrific circumstances, either escaping from or trying to overtake (the latter, the latter, I think) some one, on escaping from or overtaking whom the love, prosperity, and Nemesis of the story depend. There we can get Ghostly interest, picturesque interest, breathless interest of time and circumstance, and force the design up to any powerful climax we please. If you will keep this in your mind as I will in mine, urging the story towards it as we go along, we shall get a very Avalanche of power out of it, and thunder it down on the readers' heads. -from the Letters of Charles Dickens to Wilkie Collins edited by Laurence Hutton (New York: Harper & Brothers, 1891) p. 143-44.
y all means let Reade see my letter. This from a disconsolate Voyager with the Fenians before him. I should as soon have thought of going to Ireland at this time, out of my own head, as of going to read at--what was its name in those geological periods when you sprained your foot?--Aspatria. But Chappell's head thinks differently. -from the Letters of Charles Dickens to Wilkie Collins edited by Laurence Hutton (New York: Harper & Brothers, 1891) p. 140-41. Office, Tuesday, Twelfth February, 1867. Coming back here yesterday I found your letter awaiting me. Owing to my heavy engagements I have not read Charles Reade's last book, but I will take it away with me to-morrow, and do so at once. If the trial should come off in this present month, however, I cannot be a witness; for I go to Scotland to-morrow, and come back for only one night at St. James's Hall before going to Ireland. The public announcements are all made, and heavy expenses are incurred by Chappell, wherefore I must be producible, in common honor. But I hope the action may not be tried so soon. I do not agree with the legal authorities, and I rather doubt Cockburn's allowing such evidence to be given on the ground that the onus probandi lies with the reviewer, and that it is not disproof that is required--but this is beside the question. Say everything that is brotherly in art from me to Reade, and add that I will write to you again after having got through the story. I am as fresh as can possibly be expected under the work of the Readings. But the railways shake me, as witness my present handwriting. Since the Staplehurst experience I feel them very much. This day fortnight I shall be at St. James's Hall in the evening, and perhaps we can then have a word together--unless you are in Paris by that time. -from the Letters of Charles Dickens to Wilkie Collins edited by Laurence Hutton (New York: Harper & Brothers, 1891) p. 136-38. My dear Wilkie, ---I have gone through the play [a dramatization of Armadale] very carefully. The plot is extraordinarily got together; its compactness is quite amazing; and the dialogue is very excellent in all the rare essentials of being terse, witty, characteristic, and dramatic. But insuperable and ineradicable from the whole piece is--Danger. Almost every situation in it is dangerous. I do not think any English audience would accept the Scene in which Miss Gwilt in that Widow's dress renounces Midwinter. And if you got so far, you would never get through the last act in the Sanatorium. You could only carry those situations on a real hard wooden stage, and wrought out (very indifferently) by real live people face to face with other real live people judging them--you could only carry those situations by the help of interest in some innocent person whom they placed inperil, and that person a young woman. There is no one to be interested in here. Let who will play Midwinter, the saving interest cannot be got out of him. There is no relief from the wickedness of the rest; and in exact proportion to the skilful heaping up of it the danger accumulates. I know as well as you do that this is merely one man's opinion. But I so strongly entertain the opinion that the odds are heavily against an audience's seeing the play out that I should not be your friend if I blinked it. I see the piece before me on the stage. Then I change my point of view, and act Midwinter, and act Miss Gwilt. A perfect terror of the difficult and dangerous ground oppresses me in both positions, and I feel my inability to carry the situations myself as strongly as I feel the inability of any professed actor or actress alive to carry them for me. In reference to your two questions, I have no doubt whatever as to the first--that the substitution of the Manuscript for the marked printed pages is a decided improvement. As to the second, I think that any advantage to be gained from acting those events instead of narrating them would be more than counterbalanced by lengthening the play. They don't take long to tell, as they stand, and seem quite clear. Again, I think they would be much more difficult to act than to narrate. . . . I will send the play-book to you to-morrow by the hands of one of the office people. Next week I purpose being at the office on Saturday at 1. At ten minutes past 2 on the said Saturday in next week I purpose coming down here. Can you come with me? -from the Letters of Charles Dickens to Wilkie Collins edited by Laurence Hutton (New York: Harper & Brothers, 1891) p. 132-34. My Dear Wilkie,---The Christmas Number [Mrs. Lirriper's Lodgings] has been the greatest success of all; has shot ahead of last year; has sold about two hundred and twenty thousand; and has made the name of Mrs. Lirriper so swiftly and domestically famous as never was. I had a very strong belief in her when I wrote about her, finding that she made a great effect upon me; but she certainly has gone beyond my hope. (Probably you know nothing about her? which is a very unpleasant consideration.) Of the new book [Our Mutual Friend] I have done the first two numbers, and am now beginning the third. It is a combination of drollery with romance which requires a great deal of pains and a perfect throwing away of points that might be amplified; but I hope it is very good. . . . You will have read about poor Thackeray's death--sudden, and yet not sudden, for he had long been alarmingly ill. At the solicitation of Mr. Smith and some of his friends, I have done what I would most gladly have excused myself from doing--if I felt I could-- written a couple of pages about him in what was his own magazine. -from the Letters of Charles Dickens to Wilkie Collins edited by Laurence Hutton (New York: Harper & Brothers, 1891) p. 130-31. My dear Wilkie,--I hope the abominable gout, having shewn itself in time, will not detain you in this climate long. It is beyond all doubt in my mind that the best thing you can do is to get off. The Girders* were both got up by 8 o'clock at night. It was ticklish work--nine men gasping, snuffling, heaving, snorting, balancing themselves on bricks, and tumbling over each other. But it really was well done, and with great cheerfulness and spirit, to which three gallons of beer, judiciously thrown in, imparted a festive air. Nothing has fallen down or b'own up since. Yawning chasms abound, and dust obscures all objects; but we hope to weather it. I shall be anxious to hear how the gout gets on. P. S.---Two little men, who did nothing, made a show of doing it all, and drank one gallon of the beer. -from the Letters of Charles Dickens to Wilkie Collins edited by Laurence Hutton (New York: Harper & Brothers, 1891) p. 129-30. My dear Wilkie,---Although your account of yourself is not so brilliant as I had hoped you might be able to render by this time, I rejoice to hear from you to any effect. I had divined that you had discovered a yacht and gone on a cruise, and did not wonder at your going as soon as you could. Your plan for the winter is the best you could make, I think. I hope nothing will prevent your coming here, as you propose, for a little while before you depart. It is extremely hot here--so very hot today that I retired to my bedroom (from which I write) after lunch, and reduced myself to my shirt and drawers. In that elegant costume I achieve the present feat of penmanship. The De la Rues, of Genoa, are coming to England; I expect them here for three days this next week. . . . 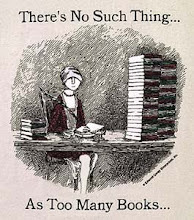 I am always thinking of writing a long book, and am never beginning to do it. 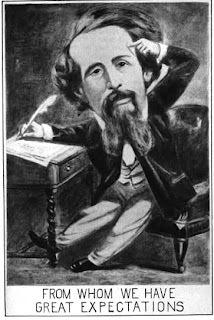 I have not been anywhere for ever and ever so long, but am thinking of evaporating for a fortnight on the 18th. . . .
-from the Letters of Charles Dickens to Wilkie Collins edited by Laurence Hutton (New York: Harper & Brothers, 1891) p. 128-29. Tuesday Night, October 14th, 1862. 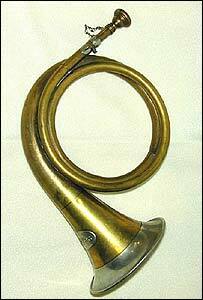 My dear Wilkie,----Frank Beard has been here this evening, of course since I posted my this day's letter to you, and has told me that you are not at all well, and how he has given you something which he hopes and believes will bring you round. It is not to convey this insignificant piece of intelligence, or to tell you how anxious I am that you should come up with a wet sheet and a flowing sail (as we say at sea when we are not sick), that I write. It is simply to say what follows, which I hope may save you some mental uneasiness--for I was stricken ill when I was doing Bleak House, and I shall not easily forget what I suffered under the fear of not being able to come up to time. Dismiss that fear (if you have it) altogether from your mind. Write to me at Paris at any moment, and say you are unequal to your work, and want me, and I will come to London straight, and do your work. I am quite confident that, with your notes, and a few words of explanation, I could take it up at any time and do it. Absurdly unnecessary to say that it would be a makeshift! But I could do it, at a pinch, so like you as that no one should find out the difference. Don't make much of this offer in your mind; it is nothing except to ease it. If you should want help, I am as safe as the bank. The trouble will be nothing to me, and the triumph of over-coming a difficulty great. Think it a Christmas Number, an Idle Apprentice, a Lighthouse, a Frozen Deep. I am as ready as in any of these cases to strike in and hammer the iron out. You won't want me. You will be well (and thankless) in no time. But there I am; and I hope that the knowledge may be a comfort to you. Call me and I come. -from the Letters of Charles Dickens to Wilkie Collins edited by Laurence Hutton (New York: Harper & Brothers, 1891) p. 122-23. My dear Wilkie,----I have gone through the Second Volume [No Name] at a sitting, and I find it wonderfully fine. It goes on with an ever-rising power and force in it that fills me with admiration. It is as far before and beyond The Woman in White as that was beyond the wretched common level of fiction-writing. There are some touches in the Captain which no one but a born (and cultivated) writer could get near--could draw within hail of. And the originality of Mrs. Wragge, without compromise of her probability, involves a really great achievement. But they are all admirable; Mr. Noel Vanstone and the housekeeper, both in their way as meritorious as the rest; Magdalen wrought out with truth, energy, sentiment, and passion, of the very first water. I cannot tell you with what a strange dash of pride as well as pleasure I read the great results of your hard work. Because, as you know, I was certain from the Basil days that you were the Writer who would come ahead of all the Field--being the only one who combined invention and power, both humourous and pathetic, with that invincible determination to work, and that profound conviction that nothing of worth is to be done without work, of which triflers and feigners have no conception. I send the books back, by South Eastern Railway to-day. . . .
-from the Letters of Charles Dickens to Wilkie Collins edited by Laurence Hutton (New York: Harper & Brothers, 1891) p. 112-13. Friday Evening, Twenty-fourth May, 1861. My dear Wilkie,--I am delighted to receive so good an account of last night,* and have no doubt that it was a thorough success. Now it is over, I may honestly say that I am glad you were (by your friendship) forced into the Innings, for there is no doubt that it is of immense importance to a public man in our way to have his wits at his tongue's end. Sir (as Dr. Johnson would have said), if it be not irrational in man to count his feathered bipeds before they are hatched, we will conjointly astonish them next year. Boswell : Sir, I hardly understand you. Johnson: Sir, you never understand anything. Boswell (in a sprightly manner): Perhaps, sir, I am all the better for it. Johnson (savagely): Sir, I do not know but that you are. There is Lord Carlisle (smiling); he never understands anything, and yet the dog's well enough. Then, sir, there is Forster ; he understands many things, and yet the fellow is fretful. 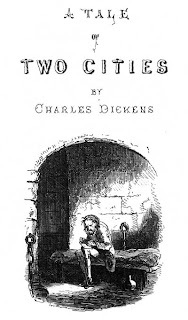 Again, sir, there is Dickens, with a facile way with him--like Davy, sir, like Davy--yet I am told that the man is lying at a hedge ale-house by the sea-shore in Kent, as long as they will trust him. Boswell: But there are no hedges by the sea in Kent, sir. Johnson: And why not, sir? Boswell (at a loss): I don't know, sir, unless--Johnson (thundering): Let us have no unlesses, sir. If your father had never said "unless," he would never have begotten you, sir. Boswell (yielding): Sir, that is very true. Of course I am dull and penitent here, but it is very beautiful. I can work well, and I walked, by the cliffs, to Folkestone and back to-day, when it was so exquisitely beautiful that, though I was alone, I could not keep silence on the subject. In the fourteen miles I doubt if I met twelve people. They say this house is full, yet I meet nobody, save now and then a languishing youth in a loose, very blue coat, lounging at the door and sucking the round head of a cane, as if he were trying the fit before he had it cut oft from the stem as a pill, and swallowed it. I hope--begin to hope--that somewhere about the 12th of June will see me out of the book [Great Expectations] I am anxious for some days at Gad's Hill, and settlement of Christmas No. with you. The idea I have will certainly do, I think, and save us a quantity of beating about. At the end of this next week I will write again. I think we may book Wednesday Week, safely, for the office. I can hardly see, it is getting so dark. [Benjamin] Webster is a thorough good fellow. You know how often I have said so. There are better and finer qualities in him than in a host of men. -from the Letters of Charles Dickens to Wilkie Collins edited by Laurence Hutton (New York: Harper & Brothers, 1891) p. 98-100. My dear Wilkie,-----I do not positively say that the point you put might not have been done in your manner; but I have a very strong conviction that it would have been overdone in that manner--too elaborately trapped, baited, and prepared--in the main anticipated, and its interest wasted. This is quite apart from the peculiarity of the Doctor's [Dr. Manette--A Tale of Two Cities] character, as affected by his imprisonment; which of itself would, to my thinking, render it quite out of the question to put the reader inside of him before the proper time, in respect of matters that were dim to himself through being in a diseased way, morbidly shunned by him. I think the business of art is to lay all that ground carefully, not with the care that conceals itself--to shew, by a backward light, what everything has been working to--but only to suggest, until the fulfilment comes. These are the ways of Providence, of which ways all art is but a little imitation. "Could it have been done at all, in the way I suggest, to advantage?" is your question. I don't see the way, and I never have seen the way, is my answer. I cannot imagine it that way, without imagining the reader wearied and the expectation Wire-drawn. I am very glad you liked it so much. It has greatly moved and excited me in the doing, and Heaven knows I have done my best and believed in it. Ever affect'ly yours, C. D.
-from the Letters of Charles Dickens to Wilkie Collins edited by Laurence Hutton (New York: Harper & Brothers, 1891) p. 95-96. 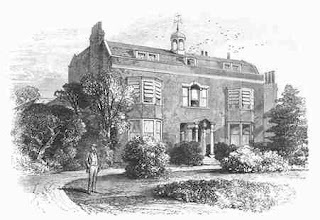 Gad's Hill Place, Higham by Rochester, Kent. 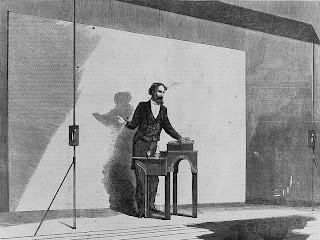 Thursday Night, Twenty-fifth August, 1859. My dear Wilkie,-----This is written on a most intensely hot night, with rain and lightning, and with shoals of little tortoises (only harder in substance) dashing in at the window, and trying in vain to smash themselves on this paper--that was one. He is now beating his eyelids to powder (I am happy to say) on the obdurate black slab of the inkstand. I am not quite well--can't get quite well; have an instinctive feeling that nothing but sea air and sea water will set me right. I want to come to Broadstairs next Wednesday by the mid-day train and stay till Monday. As I must work every morning, will you ask the Noble Ballard [landlord of the Albion Hotel, Broadstairs] (he will contradict you, but never mind that) if he can reserve a comfortable bedroom and quiet writeable-in sitting-room, for those days, for his ancient friend and patron. Then you two can dine with me one day--I can dine with you another--and evenings similarly arranged. Another tortoise, two earwigs, and a spider. Will you write to me here, after seeing the gallant host of the Albion? Dine with me on the first day, and tell him we dine, or it will break his heart. What do you mean by not answering my beautiful letter from the office? Love from all. -from the Letters of Charles Dickens to Wilkie Collins edited by Laurence Hutton (New York: Harper & Brothers, 1891) p. 93-94. My dear Collins,---In consequence of bedevilments at Gad's Hill, arising from the luggage wandering over the face of the earth, I shall have to pass tomorrow behind a hedge, attired in leaves from my own fig-tree. Will you therefore consider our appointment to stand for next day--Wednesday? When last heard of the family itself (including the birds and the goldfinch on his perch) had been swept away from the stupefied John by a crowd of Whitsun holiday-makers, and had gone (without tickets) somewhere down into Sussex. A desperate calmness has fallen upon me. I don't care. -from the Letters of Charles Dickens to Wilkie Collins edited by Laurence Hutton (New York: Harper & Brothers, 1891) p. 79.